Timber bed frames are a great investment for your bedroom. Wooden beds have a classic and understated sophistication that goes great with any bedroom interior design style. 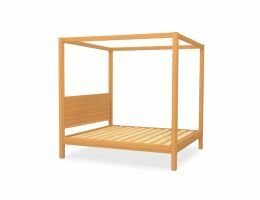 Whether you have a Scandinavian interior theme, Rustic Cabin interior or even a minimalist inspired room, wooden bed frames can perfectly complement your bedroom style. We have a wide variety of stylish timber bed frame styles to choose from. Pick the best wooden bed frame style that suits your needs. 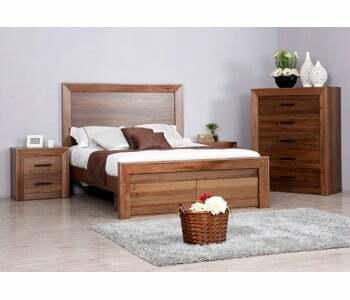 We have low beds, platform beds, standard beds, four poster timber beds and even wooden drawer beds for your bedroom. 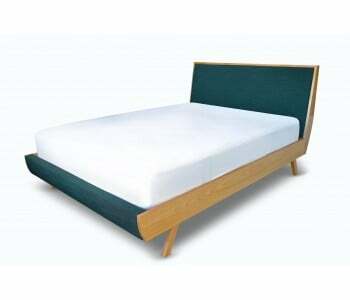 We even have timber beds with upholstered headboards for that chic Scandinavian style bedframe look. We also do amazing 100% Australian Made Custom Timber Beds in as fast as 10 days so you get made-to-measure wooden beds that suits your style perfectly. Our wooden bed frames are made from fine quality hardwood and softwood timber. Hardwood timber beds are heavier in weight, more premium and features unique wood grain patterns. It is extra durable and is not prone to dents, dings and scratches. Softwood timber beds, on the other hand, is a “softer” timber with an attractive wood colour. But that doesn’t mean it’s not good! Softwood beds provide excellent value and durability. It is also lighter, so moving the bed is easier. We carry Tasmanian Oak Beds, Ash Poplar bed frames, Australian Pine Timber Beds and the like so you get a durable timber bed that will last you for many years to come.